Current and Recent Research outlines the work that is already underway and funded. In addition, we want to also proactively initiate targeted programmes of research activity that will make a significant impact on improving the quality of life for those with autism and their families. Identification – what is the scale and nature of the issue? Intervention – which interventions are most effective in making a difference? Inclusion – what does an autism-friendly society look like? 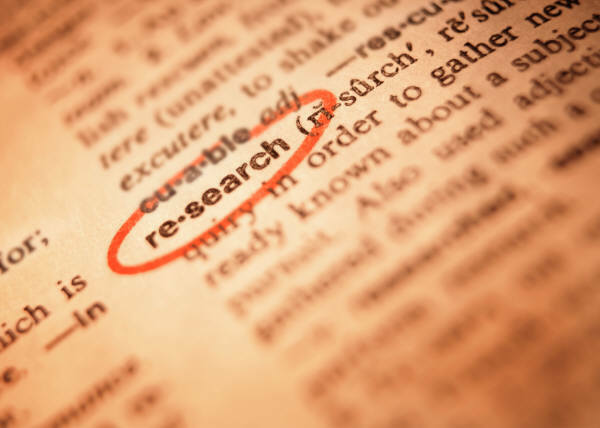 Within each programme, every individual project area is being considered by a Steering Group of academics and stakeholders to identify the most appropriate terms of reference for each piece of research, and we are currently seeking funding to launch each individual project. We also want to identify how best to remove the barriers to employment by engaging with both employers and employees to establish the best work-related interventions that enable people with autism to gain and retain successful and fulfilling jobs. In addition to our ongoing programmes, we will also continue to consider financial support and/or endorsement of appropriate proposals that are submitted to Research Autism if they fall within our research priorities. ADHD isn’t necessarily a simple and straightforward diagnosis. There are various ADHD types and two schools of thought on the different subtypes of attention deficit hyperactivity disorder. ADHD, or attention deficit hyperactivity disorder, is a behavioral disorder. But does that means that all kids who have it are hyperactive and can’t pay attention? Not exactly. There are different types of ADHD, and the subcategories are intended to help better diagnose individuals and find the best treatment for each. The DSM-IV, the fourth edition of the Diagnostic and Statistic Manual of Mental Disorders published by the American Psychiatric Association, lists psychiatric disorders, diagnostic criteria, symptoms, and other valuable information about such conditions. Included are the types of ADHD and the criteria for each. ADHD, Combined Type (combined inattentive, hyperactive, and impulsive). People with combined ADHD show characteristics of all three symptoms. This is the most common type of ADHD. Criteria include the inability to pay attention to activities and instructions, difficulty listening and staying organized, and being forgetful and often losing things. Other criteria are impulsive behaviors like speaking out inappropriately, interrupting others, talking excessively, the inability to sit still, and fidgeting. ADHD, Predominantly Hyperactive-Impulsive Type. People with this type of ADHD show only symptoms of hyperactivity and impulsivity, but do not have problems with inattention. This is the least common type of ADHD. Criteria include hyperactive behaviors like being overly active physically (can’t sit still, always running around), talking excessively, frequent fidgeting, and impulsive behaviors like the inability to wait their turn, speaking out inappropriately, and interrupting others’ conversations or activities. ADHD, Predominantly Inattentive Type (formerly called ADD or attention deficit disorder). People with this type of ADHD don’t have any symptoms of impulsive or hyperactive behaviors, but have difficulty paying attention. This is the most common type of ADHD in girls. Criteria are limited to symptoms of inattention, like carelessness and forgetfulness in daily activities, disorganization, not listening, and difficulty following instructions or completing activities. “The kids with hyperactivity and impulsivity — whether it’s combined or just that subtype — those kids often get identified,” says Dr. Riddle. The predominantly inattentive subtype, however, can often be the toughest to diagnose. “It gets missed because a teacher can’t see it, the nursery school staff can’t see it,” says Riddle. “The youngster just has difficulty staying focused, usually in challenging settings.” Often, this type isn’t diagnosed until later in life. Type 1 – Classic ADD. This type includes symptoms of inattention, impulsivity, hyperactivity, and restlessness. Type 2 – Inattentive ADD. Characteristics include inattention, acting “spacey,” laziness, seeming lack of intelligence, lack of motivation, and unenergetic. This type tends to be diagnosed in older children or adults, and most often in girls. Type 3 – Overfocused ADD. Symptoms include inattention, frequent worrying, difficulty changing attention to another task, obsession with negative behaviors and thinking, resistance to change, and frequent arguing. Type 4 – Temporal Lobe ADD. People with this type are often quick tempered, have anxiety, show physical symptoms like stomach pain or headaches, and have difficulty remembering things. People with type 4 also tend to experience trouble reading. Type 5 – Limbic ADD. Includes symptoms of inattention, as well as signs of depression like insomnia, lack of appetite, problems with self-esteem, lack of energy, and frequent sadness. People with type 5 also tend to be socially isolated. Type 6 – Ring of Fire ADD. Characteristics include symptoms of inattention, anger and temper problems, talking a lot, sensitivity to lights and sounds, and being resistant to change. Amen offers brain scans and treatments at his clinics across the country, but his types and research have not been validated by anyone else. Also, his theory is that you can truly heal ADD, while conventional research shows that isn’t the case. “The most effective way of managing ADHD is to teach an individual how to act in an environment around them,” says Michael Manos, PhD, head of the Center for Pediatric Behavioral Health at the Pediatric Institute of the Cleveland Clinic in Cleveland. No other research has ever been able to completely substantiate Amen’s theories, says Manos, “nor have there been clear replicated studies that confirm the various subtypes of ADHD that he identifies.” Amen’s data has never been published in a peer-reviewed journal. People who want answers and an explanation for ADHD should find a trusted health care professional with experience in dealing with ADHD. They can get the right diagnosis about the condition and, most importantly, get started on the road to recovery. San Diego researchers who scanned the brains of sleeping toddlers have opened a window into the mystery of what goes wrong in the mind of a child with autism, an important step toward diagnosing the condition earlier and determining what treatments work best. Scientists at the UCSD Autism Center of Excellence who performed the MRI scans as part of a three-year study had to overcome the challenge of getting their young, and often rambunctious, subjects to remain perfectly still so that clear images could be produced. They did it by using a trick known to every parent. Children were kept active for an entire day then ate a large meal before arriving at the La Jolla center for their scans. Most of the exhausted toddlers quickly fell into a deep sleep that lasted for the duration of the test. While it’s not unusual to use MRI imaging to observe the brain functions of children, the practice rarely has been used on youngsters with autism because of the difficulty of having them remain motionless for extended lengths of time, said neuroscientist Eric Courchesne, director of the UCSD center. Experts said the research marked an important milestone in the effort to decipher a debilitating condition whose cause and cure remain unknown. “It’s a very exciting study,” said David Mandell, associate director of the Center for Autism Research at Children’s Hospital of Philadelphia. Mandell led a panel of reviewers who selected the UCSD study to be among the papers presented at the International Meeting for Autism Research, which was recently held in Philadelphia. The local study was among four highlighted during a news conference at the gathering. The UCSD researchers said they will submit the study to a medical journal for publication. About 1 in 110 children in the United States have autism spectrum disorders, a range of developmental disabilities that include autism and Asperger’s syndrome, according to a December report by the federal Centers for Disease Control and Prevention. That amount represented a significant increase over the agency’s previous estimate that 1 in 150 children had the disorders. The UCSD study enrolled 43 children between the ages of 13 months and 4 years. They followed the children for two years, long enough to diagnose 23 with autism. The others developed normally. Once the children were sleeping, they listened to a recording of a woman reading a bedtime story through earphones. The researchers found abnormally low activity in the left temporal cortex of the brains of the children with autism. That area, just above the left ear, has long been suspected of playing a part in the developmental disorder because of its critical role in learning language. Communication problems, along with lagging social skills, are among the main symptoms of autism. “When language is first being learned, there is some reason why (youngsters with autism) can’t use the left temporal cortex,” Courchesne said. The scans indicated that brain activity in the toddlers with autism shifted to the right temporal cortex, a region normally focused on social skills development. The change could help explain why autism affects both the mechanics of language and social elements of communication, Courchesne said. “Think of it as being crowded out,” he said. More immediately, the discovery of inactivity in the left temporal cortex appears to offer the first measurable biological indicator signaling an increased risk for developing autism, said Karen Pierce, director of research at the UCSD center. Pierce collaborated on the study with Courchesne and assistant psychiatry professor Lisa Eyler. Most children with autism aren’t diagnosed until they are 3 years or older, when communication and social difficulties become more noticeable. “If you start treatment much earlier, then the chance of having a good outcome is greatly improved,” Pierce said. Lena Medina, whose 3-year-old son Elan is autistic, said she knows the benefits of early intervention. Elan, who was part of the study, started receiving daily, two-hour treatment sessions in his Rancho Peñasquitos home shortly after undergoing a brain scan and being identified as having a high risk for developing autism. Before the treatment, Elan wasn’t able to communicate verbally, Medina said. The study could lead to toddlers with more subtle symptoms, such as lacking curiosity about their surroundings or avoiding eye contact, being scanned for the left temporal cortex inactivity and placed on an autism treatment regimen at a young age. Before that happens, other scientists must replicate the findings of the UCSD team using larger numbers of test subjects, Mandell said. Scanning for brain abnormality also could help fine-tune treatments for autism, Courchesne said. The UCSD study, which will continue for two more years, was funded through an $11 million grant from the National Institute of Mental Health. The money also is paying for an effort to get more than 130 pediatricians in San Diego County to screen every baby for early signs of autism at their 1-year-old checkup and to refer those with symptoms to the UCSD center for evaluation. Among the 10,000 children evaluated through the program, 37 were diagnosed with autism and 63 showed other signs of developmental delays, Pierce said.